Cast an eye over almost any vegetable patch, and you're sure to see a brassica or two. This family of veggies is hugely popular with home growers, thanks to its wide variety and relatively easy cultivation. 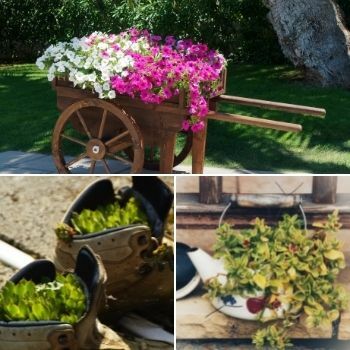 Unfortunately, it's not only gardeners who appreciate the many possibilities that brassicas offer. Cabbage moths and butterflies make a bee-line for them, and left to their own devices, they'll lay waste to your precious crop in next to no time. 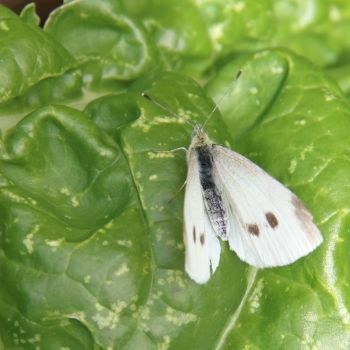 What are Cabbage Moths and Butterflies? 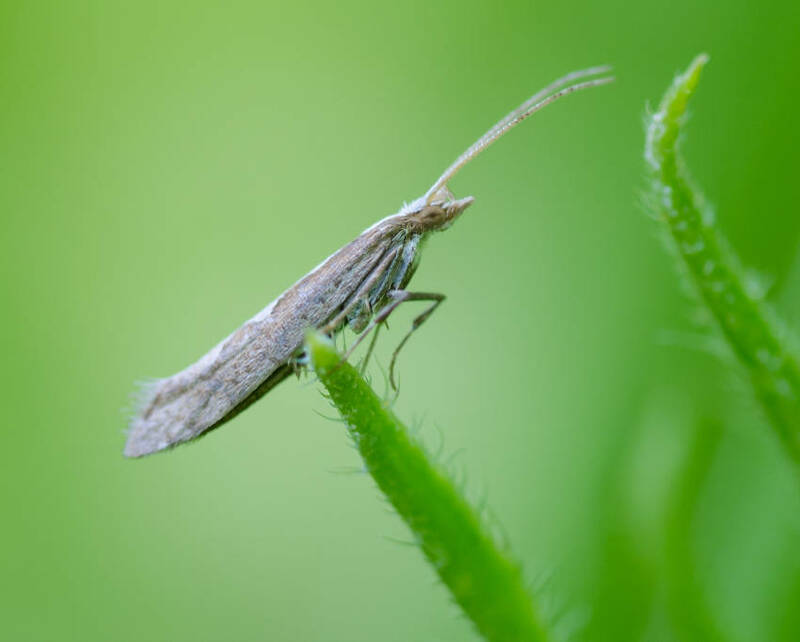 In Australia, there are two main species of brassica-loving insect pests, namely cabbage moths (Plutella xylostella) and cabbage white butterflies (Pieris rapae). These two insects aren't closely related and look very different, but they share similar habits, cause similar problems, and are dealt with in similar ways. Adult cabbage moths are roughly 10mm long, and mottled grey with a diamond pattern on their wings. 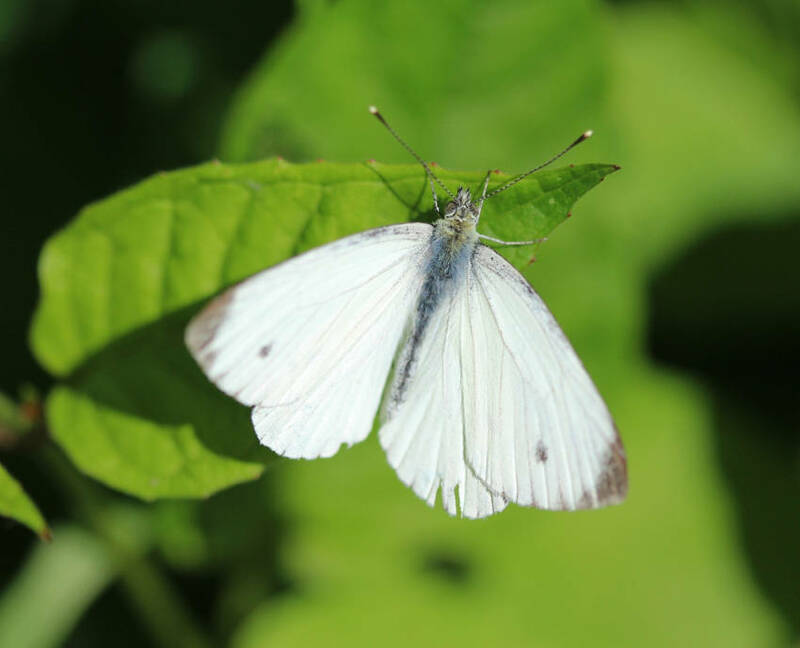 The more familiar cabbage white butterfly is a little larger at around 40mm, and has white wings with small black corner spots. But despite the visual and biological differences, the terms cabbage moth and cabbage butterfly are both widely used to refer to either species. 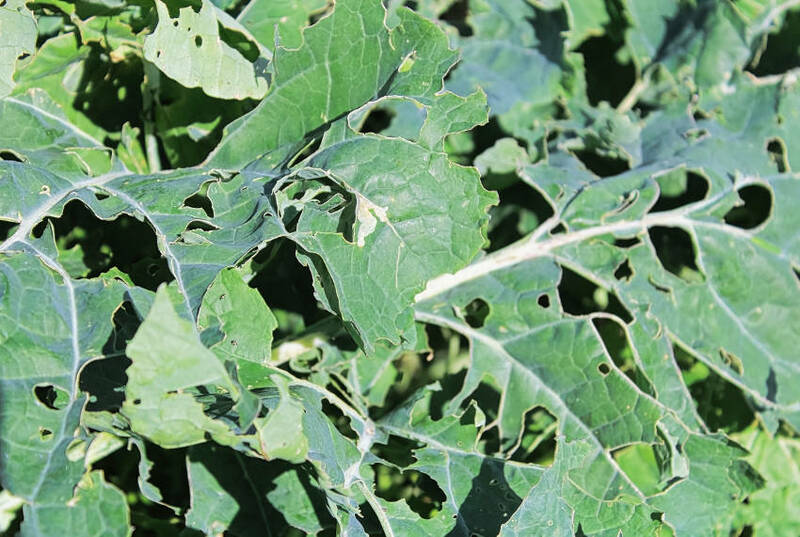 As well as cabbage, the moths are attracted to the entire brassica family, including broccoli, Brussels sprouts, rocket, and many other leafy greens. The adults are harmless in themselves, but if they're given a chance to lay eggs, an army of voracious caterpillars will soon follow. 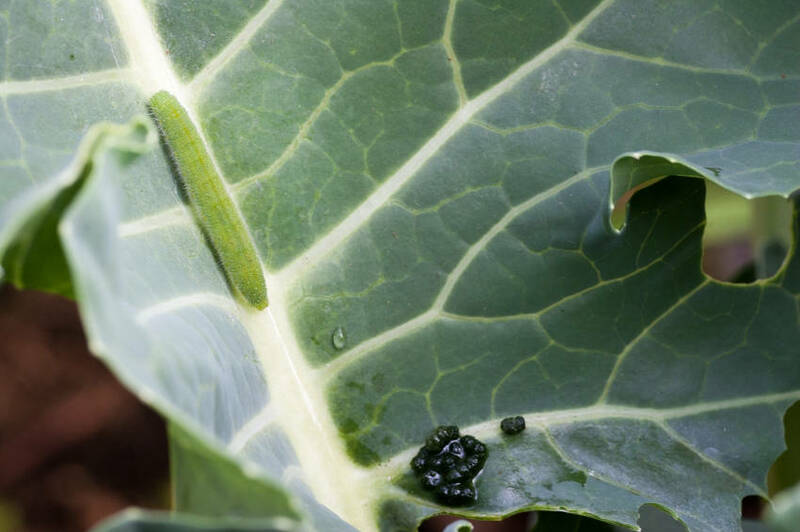 Cabbage moths produce light greenish-brown caterpillars with a darker head, while butterfly larvae are a smooth, greenish-blue. However, it's not necessary to positively identify a species. On food crops, no caterpillars are particularly welcome. 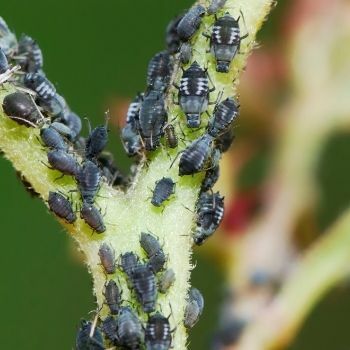 If they're allowed to feed uninterrupted, the larvae will chew a network of holes, often leading to leaf loss, and the eventual skeletonisation and death of the plant. There are three main ways of deterring moths from laying eggs on your brassicas: netting, companion planting, and decoys. Use fine netting to form a physical barrier, stopping the moths from reaching your plants. Ensure the nets fully enclose each plant, leaving enough of a gap to prevent all contact. You can buy dedicated butterfly protection nets, or improvise using old mozzie nets or even window screens. However, netting has the drawback of preventing more useful access. If eggs have already been laid, the caterpillars will have free reign to feed safe from birds and other predators. It's also a hassle to remove and replace netting whenever you need to tend your plants. As is often the case, companion planting can provide a range of solutions to a caterpillar problem. 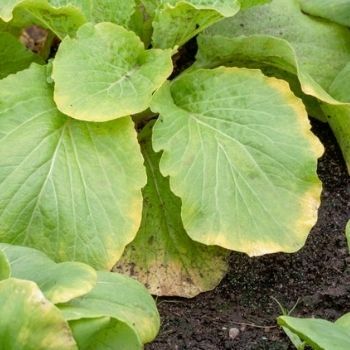 Try growing decoy plants including nasturtiums, dill, and mustard, which will draw egg-layers away from your main crops. And for extra sneakiness, grow land cress as a 'dead end' decoy. Adults are strongly drawn to this plant, yet the leaves contain toxins which are lethal to caterpillars. Any eggs laid on land cress will be the last in their family line. For an alternative companion planting approach, strong-smelling herbs such as lavender, sage, and rosemary seem to deter cabbage moths from settling and laying eggs. Try planting them around the edges of your patch to form an odour barrier that doesn't restrict your own access. 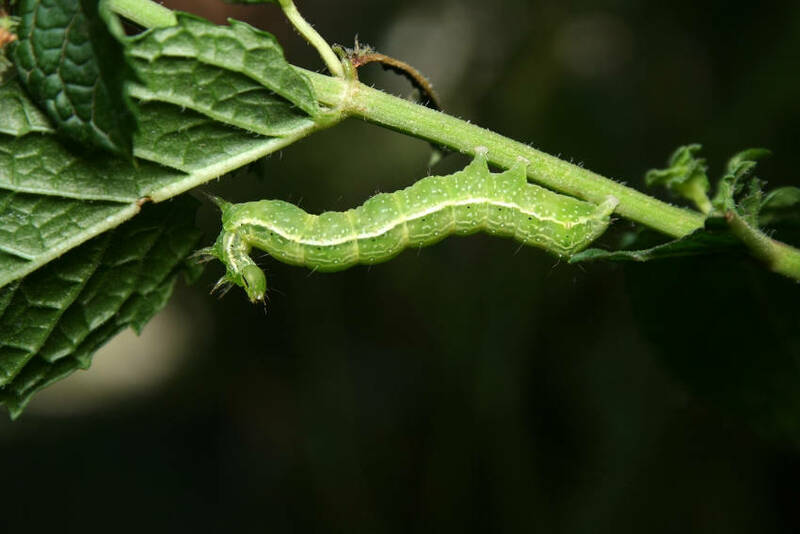 Cabbage moths are highly territorial, and will avoid laying eggs where there's already competition for caterpillar food. Take advantage of this by using moth 'scarecrows' to encourage real moths to find less crowded areas. You can buy plastic moth-shaped decoys to place around your brassica patch, but it's a simple job to make your own. Simply cut white plastic sheeting or old shopping bags into rough moth shapes of around 40mm across. Fix these to the end of twigs or canes, and plant them next to the target plants. To butterfly eyes, the plastic fluttering in the breeze is a convincing impression of a rival. Unfortunately, cabbage moths are determined and plentiful, and even the best deterrence tactics can fail. If you're facing an infestation, fast action is important to save your plants. Manual methods are the simplest and quickest way to make an impact. Check your brassicas for caterpillars, particularly on the undersides of leaves, but also deeper within the plant hearts. Pick off any larvae you find, and dispose of them in whichever permanent way you prefer. Repeat this hunt every day, and you can quickly get on top of the larvae population. To be thorough, also remove any clutches of eggs to prevent new larvae from hatching. If touching caterpillars is a little too much to handle, use a light hose or powerful garden sprayer to knock them to the ground. Once on the soil they'll be easy targets for birds, beetles, and other predators. These manual methods are effective when your patch isn't too big or the infestation too severe. But more serious problems require something a little more drastic. There are plenty of commercial insecticide sprays for controlling caterpillars, some organic and eco-friendly, others less so. 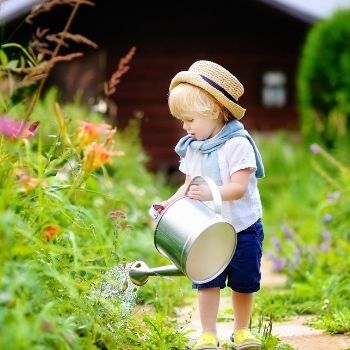 Many are based on a natural pesticide called pyrethrum, which works against caterpillars, aphids, and many other pests. Unfortunately, these can also cause problems for beneficial insects, including ladybirds. Because of this, sprays based on a bacterium called Bacillus thuringiensis are often used instead. Most commonly sold under Dipel brand, these sprays have several strong advantages. They're highly selective, only affecting leaf-eating caterpillars among insects. They're harmless for birds and other wildlife. The sprays are safe for use on food crops, with no withholding period. The bacteria are derived from natural sources and the spray is classed as organic. Dipel spray works as a toxin, killing the caterpillars two or three days after they consume treated leaves. It is only effective against larvae in their active feeding stage, and so several treatments may be needed to clear an infestation. To use, mix the powder with water according to instructions, and spray across the whole plant to be protected. Re-apply after rain, and also every few days as the bacteria break down in sunlight. Even though Dipel is organic, safe, and effective, you may prefer a home-made spray that's completely free of chemicals. Simply mix equal quantities of white flour and boiling water into a smooth paste. Dilute with enough cold water to make the liquid sprayable, and treat affected leaves. As the mixture dries, the flour 'glues' the caterpillars in place and suffocates them. While this homemade spray is chemically safe, it can also spell trouble for beneficial insects, so use with care. Attacking a caterpillar problem on all fronts is the best approach for long-term success. Try these other ideas to complete your strategy. Attract predator wasps and other insects to your garden by growing plenty of blooming herbs and flowers. Continue digging over your veggie beds throughout winter, exposing dormant pupae to hungry birds. Plant a living mulch such as white clover around the plants. The white flowers act on the same territorial principle as plastic decoys, while the fragrance masks the attractive brassica scent. Scatter broken white egg shells around the soil for another variation on the territorial deterrent theme. Adult butterflies and moths are generally benign and beneficial in a garden. Unfortunately, the same can't be said for their hungry youngsters. If you value your brassicas, it pays to treat cabbage moth caterpillars with a firm hand and keep their numbers in check.